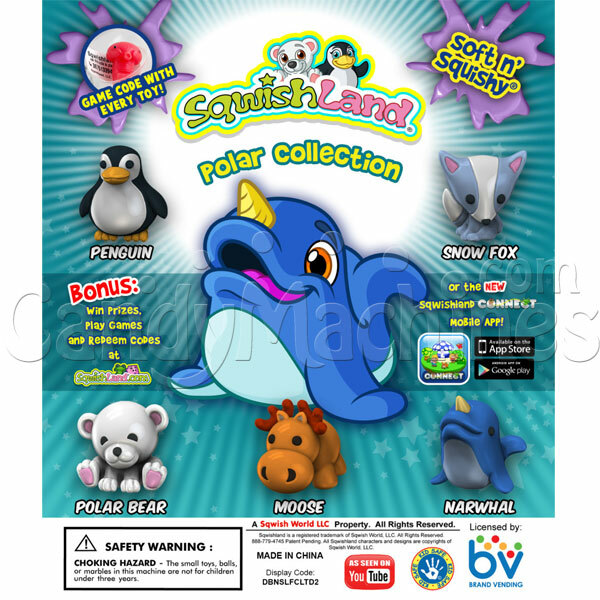 The Sqwishland Polar series is now available! These soft and squishy pencil toppers may come from the chilly northern region, but they're going to be a hot seller. 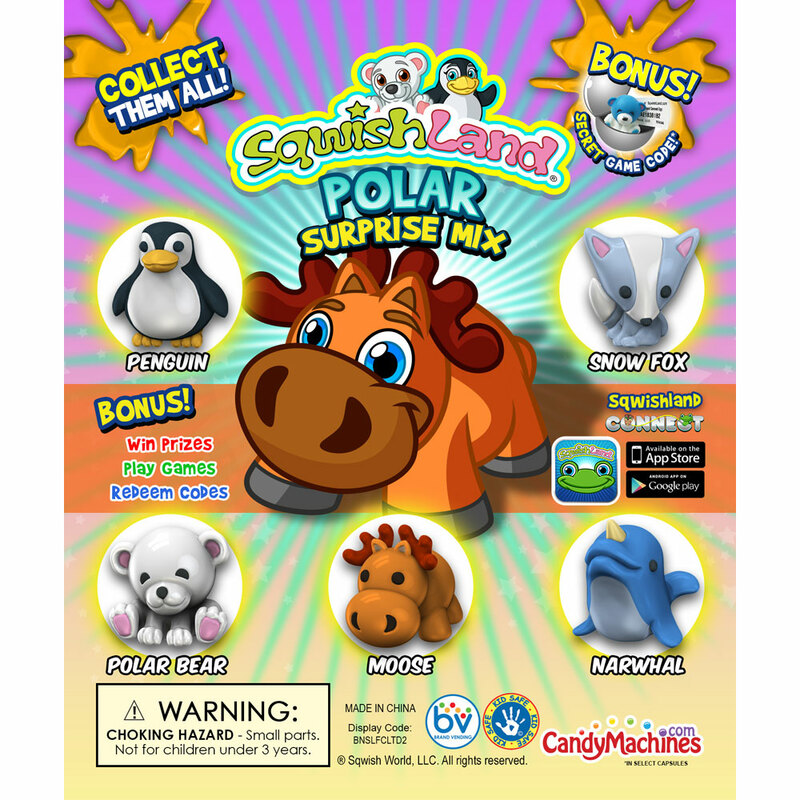 A few polar characters that are found in the mix include the polar bear, moose, penguin, and narwhal. There are 10 different animals in all. 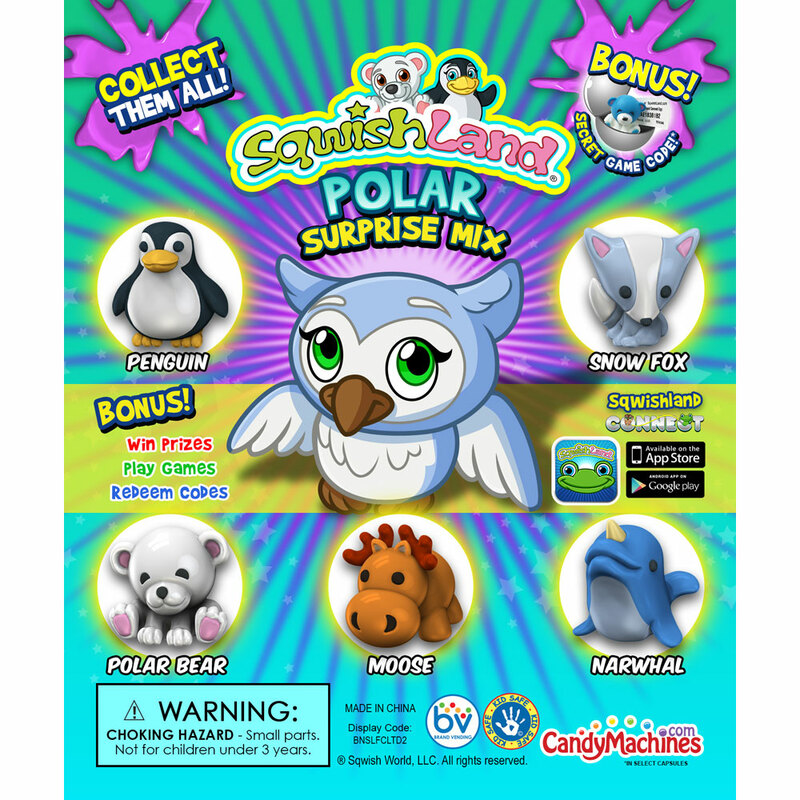 Every capsule has a code to play the online SqwishLand game. Case includes approximately 245 Polar squishies. Each polar animal pencil topper comes in a safety sealed round capsule. Every bag offers a fun mix of 245 toy capsules which are pre-filled for your convenience making it quick and easy to load into your bulk vending machine. These toy filled capsules are ready to vend and will dispense in machines with a 1 inch capsule or gumball vending wheel. Printed display card (as pictured above) for your vending machine is included FREE. The kids at my church love these!!! I have them in a vending machine and the kids love seeing what one they will get each week. They love collecting them and using the online codes that come with each toy.